and tasted all the dreams she kept coiled beneath her bones." On hot summer days, dresses are my go-to. They're easy, they're breezy, and a good dress makes its own statement without much accessorizing. 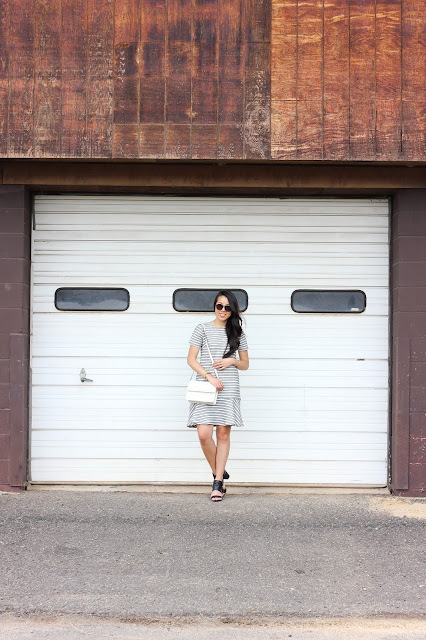 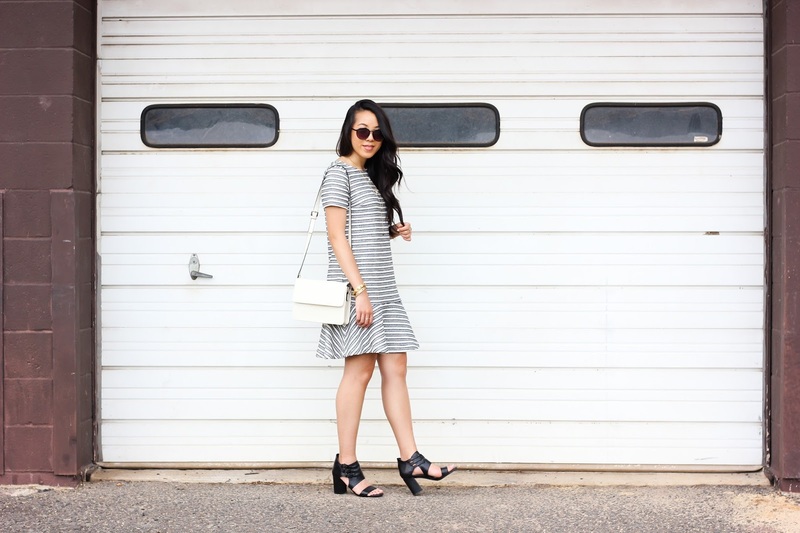 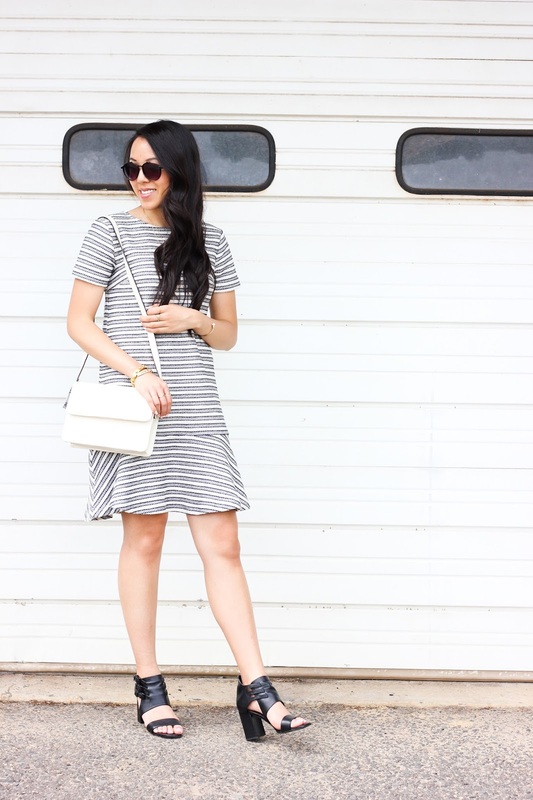 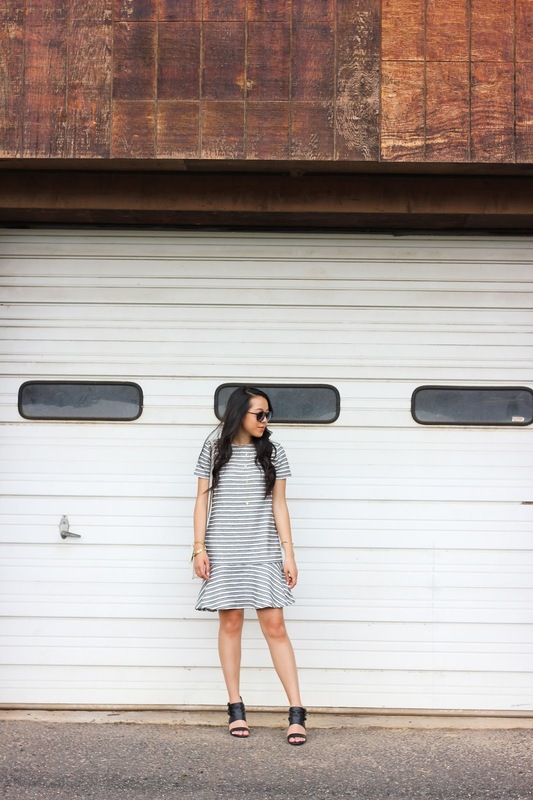 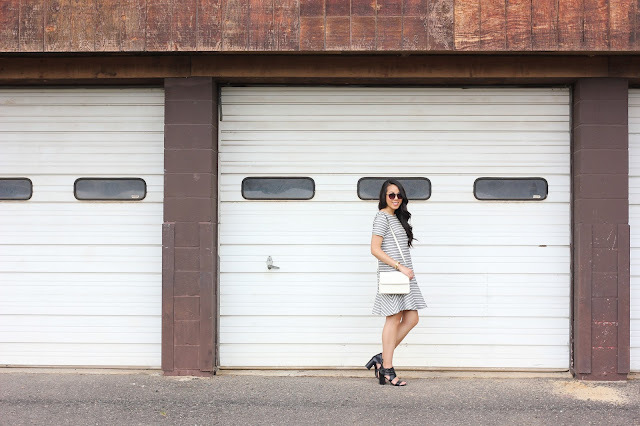 I'm a huge fan of the shift dress silhouette, and this one hits the mark. It's a little bit more feminine with the drop waist, flared and ruffled hem and a subtle geometric stripe. 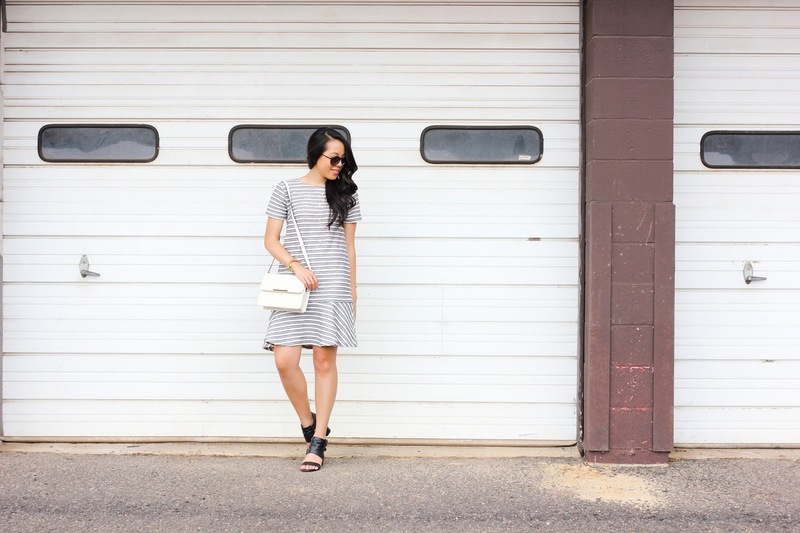 Paired with a bright white summer bag and my favorite black sandals, it's a quick outfit to throw on and head out the door without wasting a minute. 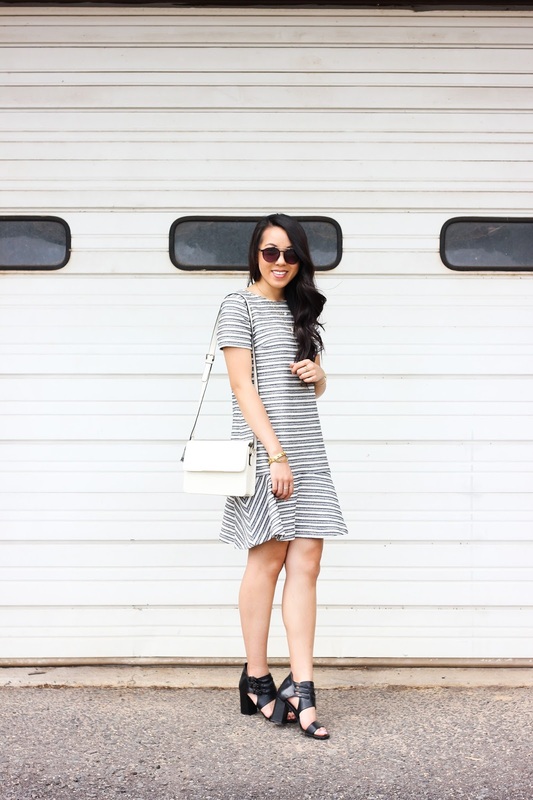 I love the dress! 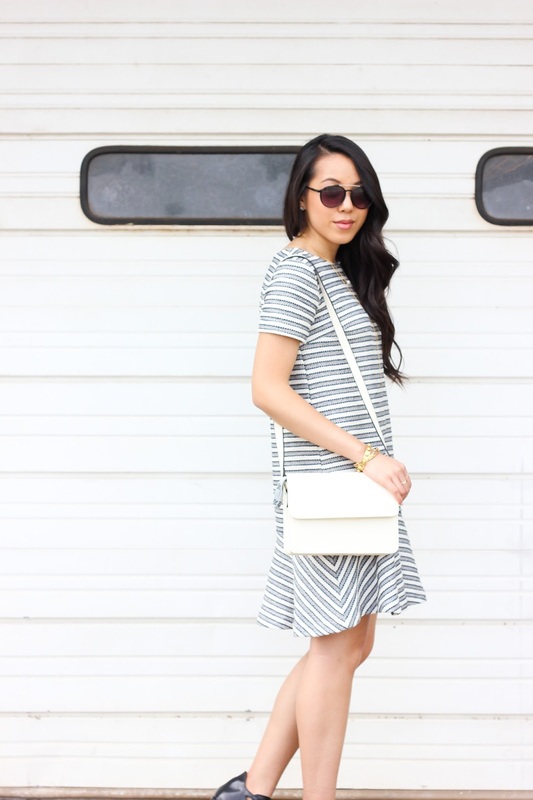 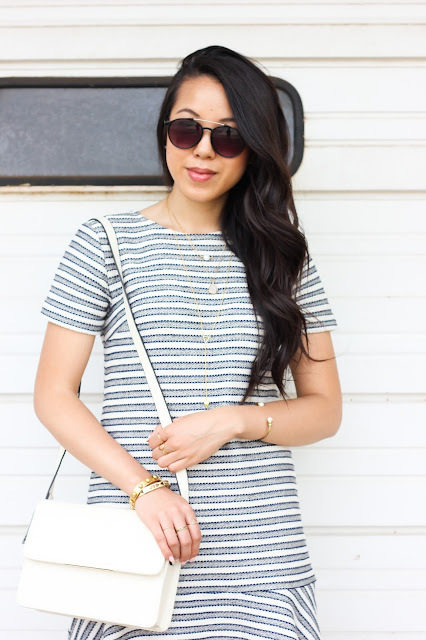 Stripes + flare = perfect!